← Radical bending on a Kifu Yew to place the character branch. My dear friend Mario is setting off on a ride half way around the world… we wish him a safe adventure. When I finished studying bonsai in Japan, I had to find a place and job to continue my passion and profession. 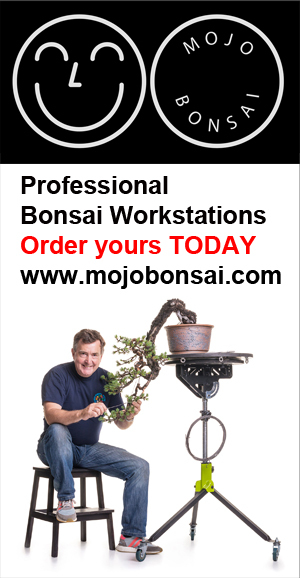 I never wanted to do bonsai business and live from selling bonsai, pots, tools and etc. My dream was to work on bonsai, maintain trees and teach bonsai abroad. Not easy indeed. In 2008 I contacted many bonsai museums around the world, US, Australia, Germany … and tried to apply for a job. Many of them replied that the position was not available or that my skills were too high to keep me busy … really ? I could not believe it! The only one which said yes and gave me a chance to do a one month trial was Luis Vallejo, Curator of Museo del Bonsai in Alcobendas, Madrid.